OK, it is not an iPad but still... what a cool idea. For those of us who can on a regular basis, there is always a canning jar lurking about. While it may be all the rage to use them as a drinking glass, it is often hard to carry one around...till now. This MADE IN AMERICA idea, is so simple yet so cool. We are totally over-hydrated. 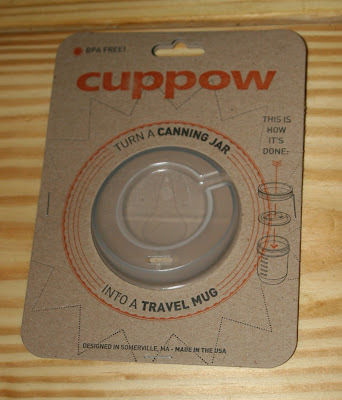 The second our jar is empty, we fill it up just to use our cuppow. Seriously, buy one right now.